Savannah combines durable stoneware (microwave, oven, and dishwasher safe) with a timeless ellegant western floral design embossed into each piece and finished with a heavy high gloss glaze. 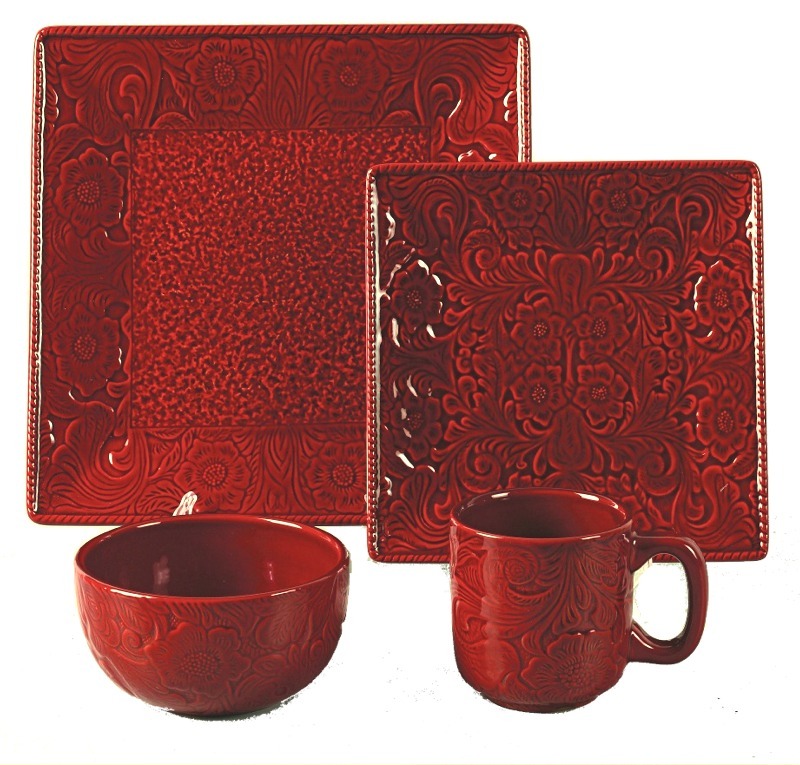 Savannah Western Styled Dinnerware Red 16pc set includes 4 each: 16 oz. Mug, 10.75" Dinner Plate, 8.25" Salad Plate, 5.75"X5.75" Bowl. Available in Red, Turquoise or Mustard color. Materials: Stoneware. Microwave Safe, Oven Safe, and Dishwasher Safe. Savannah dinnerware and tableware is the latest in the fresh new designs in western decor styles for the dining table. Impressive stunning color and textures of western floral designs mixed in stoneware. Microwave, oven, dishwasher safe. Savannah Serving Bowl Red. Savannah dinnerware and tableware is the fresh new design in western decor styles for the dining table. 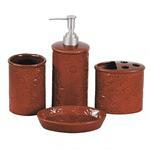 Impressive stunning color and textures of western floral designs mixed in stoneware. Microwave, oven, dishwasher safe. Savannah Serving Plate Red Color. Savannah dinnerware and tableware is the fresh new design in western decor styles for the dining table. Impressive stunning color and textures of western floral designs in stoneware. Microwave, oven, dishwasher safe. Savannah Spoon Rest Red Color. Savannah dinnerware and tableware is the fresh new design in western decor styles for the dining table. Impressive stunning color and textures of western floral designs in stoneware. Microwave, oven, dishwasher safe. 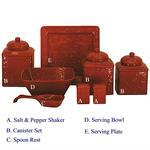 Savannah Western Styled Canister Set. Stoneware Canisters with raised western tooled floral designs. 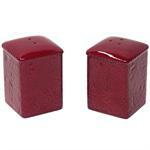 Each set includes 3 Canisters: 6" Dia X 9" H, 6" Dia X 8-3/8" H, 6" Dia X 7-5/8" H; Available in Red, Turquoise or Mustard color.